Two Chicks On Books: #T4T- TWO AND TWENTY DARK TALES & VERY SUPERSTITIOUS and A Giveaway! #T4T- TWO AND TWENTY DARK TALES & VERY SUPERSTITIOUS and A Giveaway! Author: Nina Berry, Sarwat Chadda, Shannon Delany, Max Scialdone, Karen Mahoney, Lisa Mantchev, Georgia McBride, C. Lee McKenzie, Gretchen McNeil, K.M. 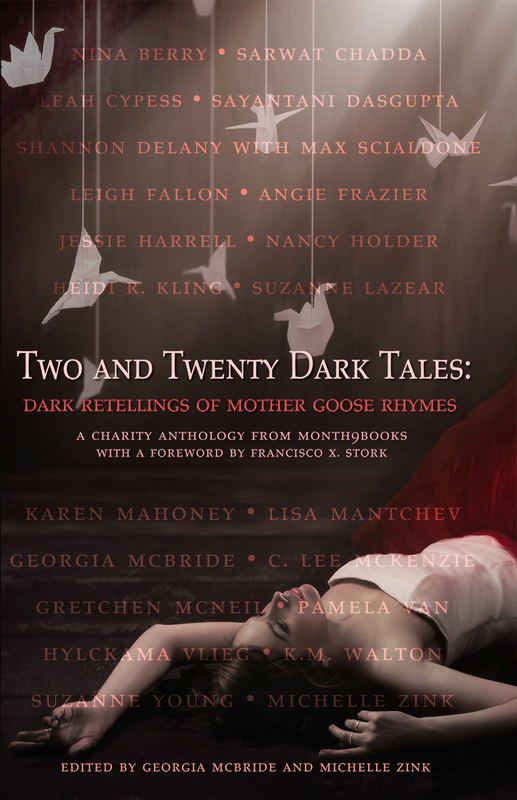 Walton, Suzanne Young, Michelle Zink, Leigh Fallon, Angie Frazier, Jessie Harrell, Nancy Holder, Heidi R. Kling, Suzanne Lazear, Pam van Hylckama Vlieg ,Leah Cypess. Forward by Francisco X. Stork. 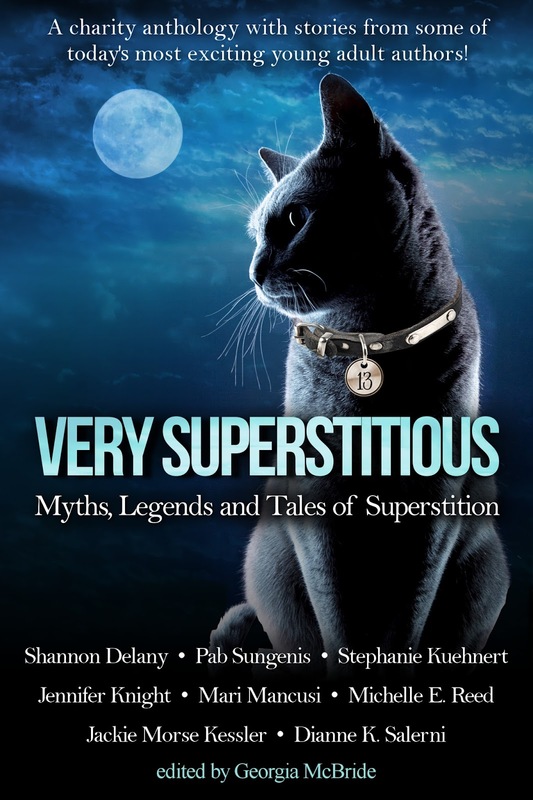 Author: Shannon Delany, Pab Sungenis, Stephanie Kuehnert, Jennifer Knight, Mari Mancusi, Michelle E. Reed, Jackie Morse Kessler, Dianne K. Salerni. Edited by Georgia McBride. I've always wondered about the origins and meanings behind the nursery rhymes as an adult now reading to kids. These books have amazing covers that attract me right away and I have to read these! What great ideas for books!! Most of you are new to me and I love legends re-visited so this will be a win win :).